“When I started I expected nothing for myself,” said Doris Becker, recalling her ten years as a volunteer CASA (Court Appointed Special Advocate), working on behalf of children who are involved in the court system. The program was just starting out in Santa Barbara County when she saw a newspaper ad about the training classes. Not only has she helped by devoting countless hours to advocating on behalf of her young charges, about four years ago she also got her husband Don into the act. As a pharmacist (now retired), Don was used to dealing with confidentiality issues, and decided to become a CASA to help support his wife in her work. While the work is certainly rewarding, both of the Beckers admitted that it can also be emotionally grueling. “And then when the judge goes with your recommendation you come out and you should be very excited and you go oh my God, I’m now responsible for what is happening to this little guy, so it is emotional and yeah, you have to really see if you can be totally unbiased, can you really look at it objectively, you know,” said Doris. Unlike social workers who have enormous case loads and generally try when possible to keep families together, CASAs make their recommendations strictly based on their view of what is best for the child. They evaluate the situation at school when applicable, and at the child’s home, which is often a foster care situation. They also make sure that the children are taken to the doctor for regular checkups. While situations and needs vary with each case, the Beckers said they try to see their current charge (a little girl) at least once a week. “She loves the zoo, she loves the ocean. We took her one morning for three hours up and down the ocean. We were both totally worn out,” said Doris, laughing. In the case of another child whose mother had drug problems and was frequently homeless, “I would sometimes see him four or five times a week because he was, at one point, so, so needy — he would be alone. His mom was put away and his sister was moved, so the only person he knew was me,” said Doris. The children aren’t allowed to come to the volunteers’ homes, so sometimes planning activities can be challenging. CASAs meet regularly with their caseworkers and fellow CASAs who are working with children in the same age group, and often exchange ideas for activities. Free bowling at Zodo’s in the summer was a big one, as are the various free days at local museums and attractions. “We have one car that’s our CASA car,” said Don. It’s full of skateboards, kneepads, scooters, helmets, beach toys and more. The Becker’s son, now grown and living in New York City with a family of his own, even gets into the act, sending boxes of books, games, toys and goodies for the children his parents look out for. “That always comes up,” said Don. “You find the time, you make yourself find the time.”_”And I’m just amazed how much pleasure we are also getting out of this,” said Doris. 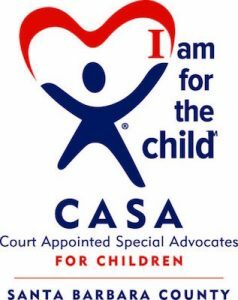 For more information about volunteering to be a Court Appointed Special Advocate, call 879.1735, E-mail info@sbcasa.org or visit www.sbcasa.org. Originally published in the Goleta Valley Voice in October, 2005. Watching kids of all ages “shake their moneymakers” to the tunes of the Dance Revolution games in the arcade at Luigi’s Restaurant or the lobby of Camino Real Marketplace Theatre may be amusing to some, but it’s serious business to Dr. Debra Lieberman, a lecturer in the Department of Communication and a researcher in the Institute for Social, Behavioral, and Economic Research (ISBER) at UCSB. “The way we learn from interactive media is phenomenal. … There’s really been an upsurge in interest in games as a learning platform in the last several years,” said Lieberman, who’s been involved in the development and study of “serious games” or “games for health” since the 1980s. Lieberman has the data to back up her claim. As Vice President of Research at Click Health, one of her projects was a diabetes game for children. Prior to playing the game, participants were averaging about two and a half urgent care or emergency visits to the doctor related to diabetes per year. “At the end of that period they were averaging one-half a visit per child per year, so they decreased their urgent care needs by 77 percent,” Lieberman said. Games can also help teach knowledge and skills. “A game usually has you rehearse skills maybe hundreds of thousands of times, as you play the game again and again. You refine them and you immediately see the effects of those actions,” said Lieberman. As the parent to 14-year-old Eliot Chaffee, a freshman at San Marcos, Lieberman is no stranger to adult criticisms of video games. But contrary to complaints about games being anti-social, she views them as offering a pathway toward communication. Her research found that children playing the game talked to their parents about diabetes more too. She did a study that asked children if they would prefer to learn information through a book, videotape or a video game. More than 95 percent of the kids chose a video game. 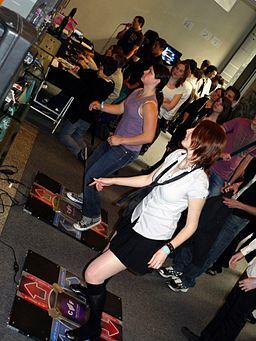 And it wasn’t just that they were more fun, Lieberman said, they also understood the importance of interactivity. “A video game will tell you if you’re wrong so you can learn. … 6-year-olds understood that a video game gives you that feedback and it’s a way to really learn and to get better and to practice. “Some people call games for health or serious games stealth learning or sugar coated learning and I say, no, it’s not hidden. And in fact, learning is fun and I don’t think you need to be ashamed that your game is about learning and it has to be a fun game. You know. If it’s not fun then that’s the end of it,” Lieberman said. Originally published in the Goleta Valley Voice on October 7, 2005.